It was an afternoon of two feasts -- one outside, celebrating the shoe industry of Marikina City and the other, inside a Thai restaurant. Everything was pulsating. Outdoors the locals were preparing for the procession of their patron saint, Our Lady of the Abandoned. Indoors, Christmas lanterns hung over the Thai restaurant's dining tables as dish after dish was served. The only thing not moving that day was the steel bar window. Image taken at Krung Thai restaurant in Marikina City. 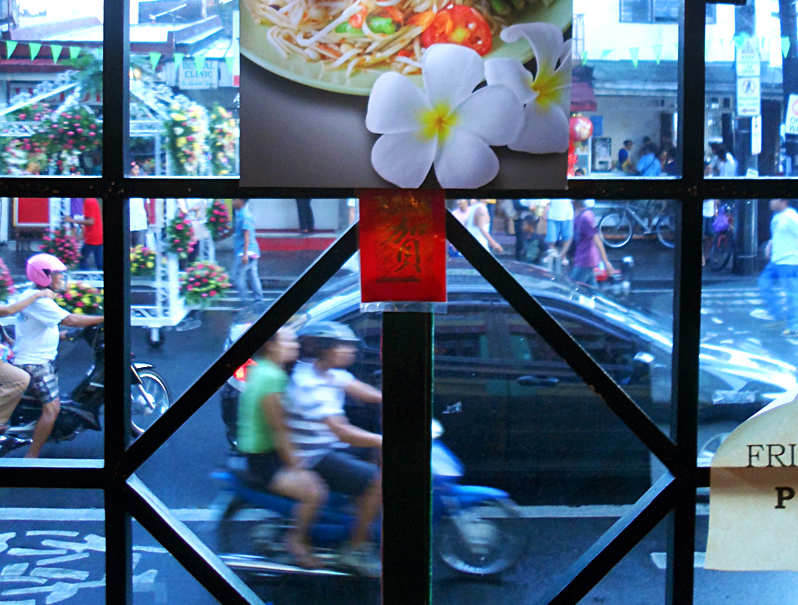 Read the rest of the story on my Lanterns Over Thai Cuisine blog post. Also, check out the shoe parade in Marikina City here. At 6:00am that day, Punta De Fabian was without the rowdy college students who stirred the pool water like it was some smoothie. They were all still sound asleep probably drunk from the night before. I was up early because I knew that the infinity pool would let me capture a stunning reflection of the sunrise, the sky and that unassuming tree. And it did. Image taken at Baras, Rizal. Read the rest of the story on the blog Hilltop View Redefined At Punta De Fabian. Fishing Village Child: Boy Or Girl? Is the child a boy or a girl? The image does not say exactly which. I was not able to find out, although the eyes hint that she's a she. And there is a certain soft grace to the gaze. Image taken at Lingayen, Pangasinan. 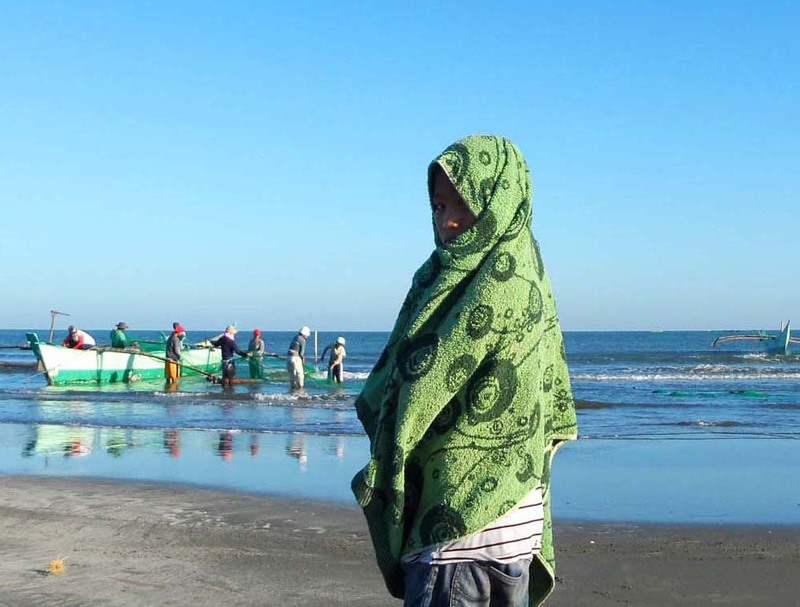 Read the rest of the story on Sunday Morning Catch At Lingayen Beach blog post. Simple processes are easy. Usually what's easy is fun. Most fun stuff are surprising. This is why simplicity can be surprising. This is true of snap shots or images taken informally. Surprise yourselves with simple shots! Karl Ace is a University of Santo Tomas (UST) graduate of Fine Arts and a certified Odesk Online Article and Blog Writer. He's a work-from-home consultant on weekdays and a local tourist on weekends. As an advocate of point-and-shoot photography, he always ascertains that the less intrusion on the subject, the better. All images on this website were taken by Karl Ace.